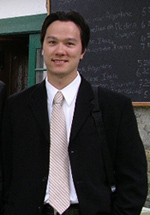 Mark holds a Bachelor of Commerce degree from the Haskayne School of Business at the University of Calgary. He currently works in a business development role for a Western Canada based airline. His freelance writing has appeared in Wings, Helicopters and Airliners magazines as a featured writer and corespondent. Mark's photography clients include Eurocopter Canada, Mountain View Helicopters, TRK Helicopters, Alpine Helicopters, RCMP, Calgary Police Service and countless industry publications. Photo equipment: Nikon D200 and Nikon D100 with Nikkor 70-200mm AF-S VR, Nikkor 24-85mm AFS lens, and Nikon TC-2EII Teleconverter. Chris grew up in the airline industry…Dad a commercial pilot…Mom a flight attendant. Started flying at age 13. Obtained private pilot’s license at age 18. Holds a Bachelor’s degree with distinction in Geography. Currently works as an airline/corporate flight dispatcher. Has been published in Airliner World, Airliners, the Calgary Herald and various airline in-flight publications. Has a photo hanging in the Smithsonian Institute’s National Air and Space Museum in Washington DC. Photo equipment: Nikon D70 with Nikon 80-400mm VR and 18-70mm AFS lens. Alex interest in aviation began when traveling with his family when he was younger. His interest in photography only began four years ago when he began spotting at Dorval with his brother. 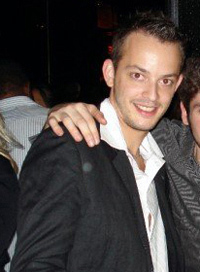 He is currently holding a DEC (CEGEP’s diploma) in Natural Sciences, and will be starting a 3 years Bachelor degree in Tourism Management in 2006. 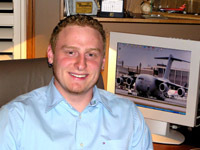 He has been published in Airliner World as well as in various aviation related businesses. Photo equipment: Canon 20D, Canon 10-22mm EF-S, Tamron AF 28-75mm f2.8 XR Di Zoom, Canon EF 100-400mm f/4.5-5.6L IS USM. 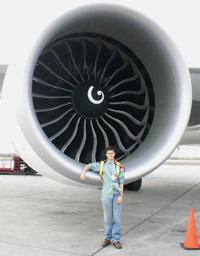 Youri has had an interest in aviation since the age of 5, and started taking photos in 2001. He is considering a career as an Air Traffic Controller or as an Airline Pilot. His photos have been published in Airway Magazine as well as various airline ads. He was a member of the Air Cadets for a year but decided to focus more on commercial aviation. Photo equipment: Canon Digital Rebel with EF-S 18-55mm and EF 75-300mm USM III, and an old Nikon EM with a Nikon 50mm and a Vivitar 70-210mm lens for slides. Ivan works in the energy industry which allows him to travel. 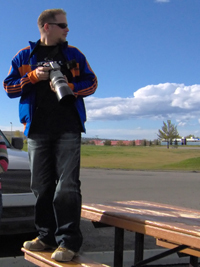 He has always had an interest in airplanes and enjoyed photographing them. Photo equipment: Canon 350D with 18-55mm, 75-300mm USM III, Canon 100-400L IS. Photos are copyrighted by Contrails © 1990-2012.